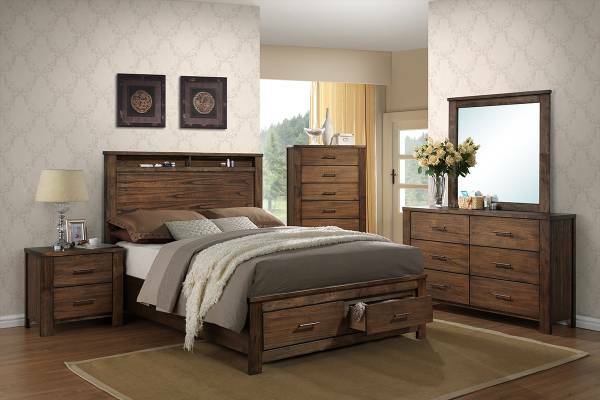 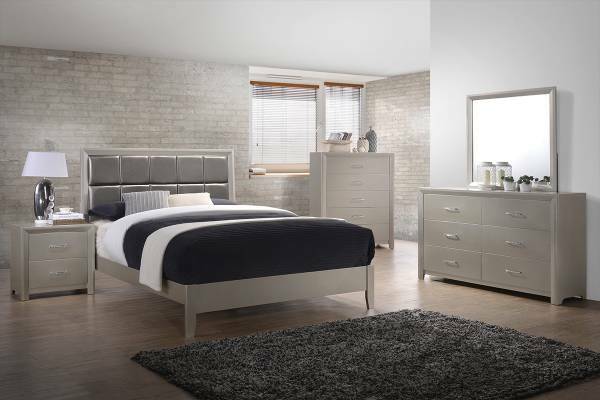 Exquisitely crafted with a vintage look, this five pieces high quality bedroom set furnish your bedroom into a classic and elegant look. 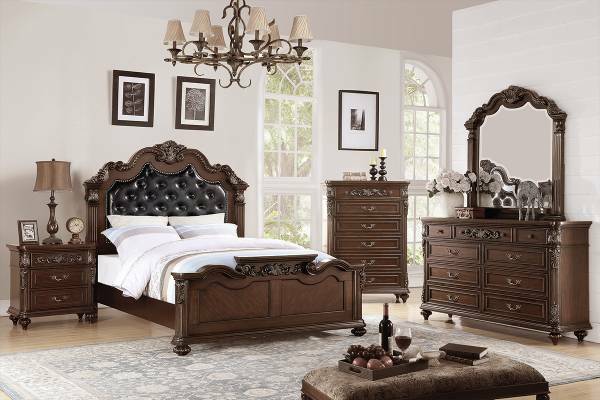 The four poster bed includes antique carved designs on the headboard matches all the classical pattern design on the drawer, chest, mirror frame, and nightstand. 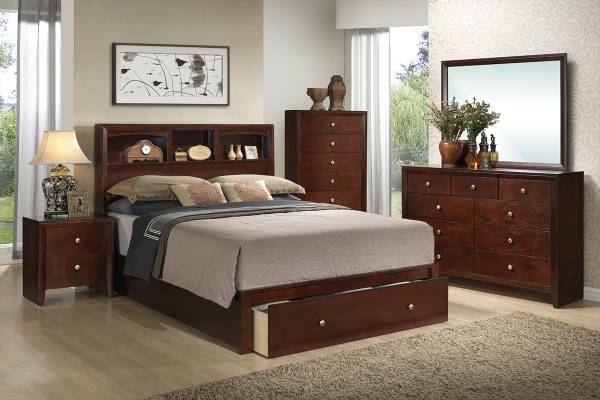 This classic bed also includes option for queen , California king, and Eastern king bed sizes for your own taste. 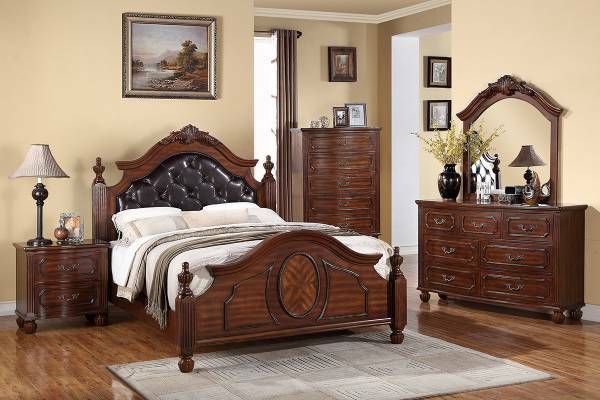 Featuring quality dark brown wood material and craftsmanship, this functional and American traditional bed set will give you a classical ambiance for your relaxing space.